When you have used Adsorbex and have seen the benefits from using it, this refill will save you money. 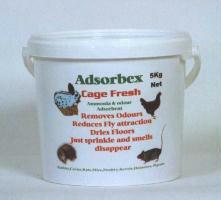 Adsorbex Cage Fresh 5kg (�22.99) (inc. shipping) Single Bucket Orders! 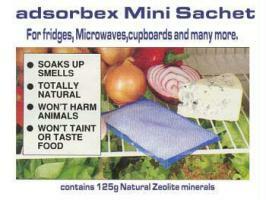 Damp smelly floors in hutches or cages can attract flies and thus maggots to these areas. 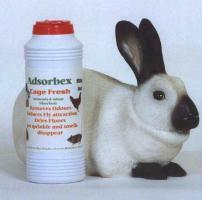 Even after cleaning wood floors still hold odours and moisture and give of Ammonia which is detrimental to the livestock. 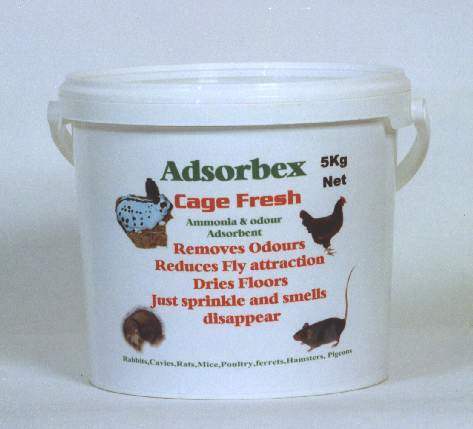 By sprinkling the floors with Cage Fresh the smell will be quickly and safely removed and the floors dried up even with livestock still present. 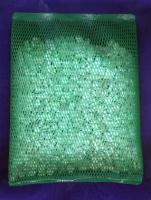 Our economical bargain bucket that compared to the 500 gram pots works out at half the price saving on 10 plastic pots with lids and filling and weighing time,this is buy far the best way to buy it if you have already found out if it works for you . 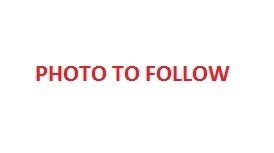 This is a special price which will only apply when 2 or more 5kg buckets are ordered.If ordering a single bucket please use the section above. 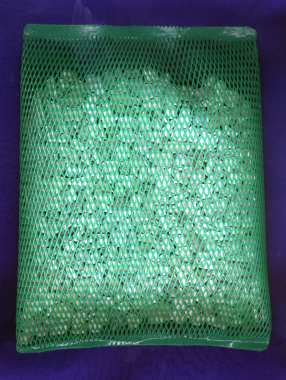 Orders of Single buckets ordered at MULTIPLE rate will not be accepted and your order will not be processed and all monies paid will be refunded. 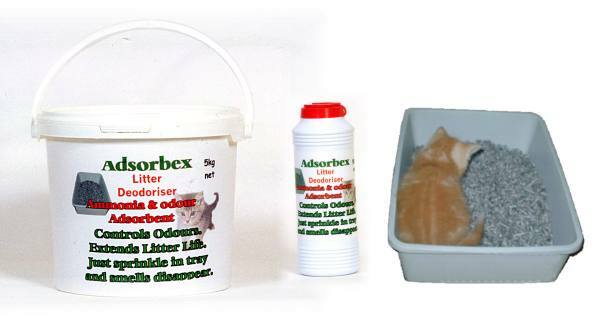 Most cat litter on the market will absorb the liquid wastes from the animals, but few actually remove the odour that can difuse from them gradually filling up the room in which the trays are left. Add a tablespoon of Adsorbex to the litter tray and smell how much it reduces the strong ammonia type odour. HEAVY DUTY version to control the unpleasant build up of smells caused by Tobacco Smoke, Pets, Pet Litter ,Ferret cages, Laundry, Cooking, Kitchen Waste, Toilets, Bacterial Action, Spillages, Sickness and Wet Dog Odour or Doggy Smells in Vehicles and fresh paint fumes. 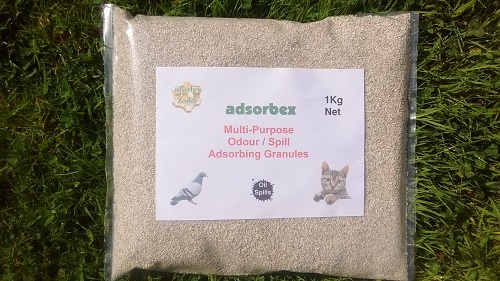 One Sachet is usually suficient to control the odours in an area of upto 200sq feet and can last upto up to 6 months before saturation point is reached.. The carpet fibres hold on to odours rather like a wooly jumper holding onto a smokey odour from bonfires or cigarette smoke. 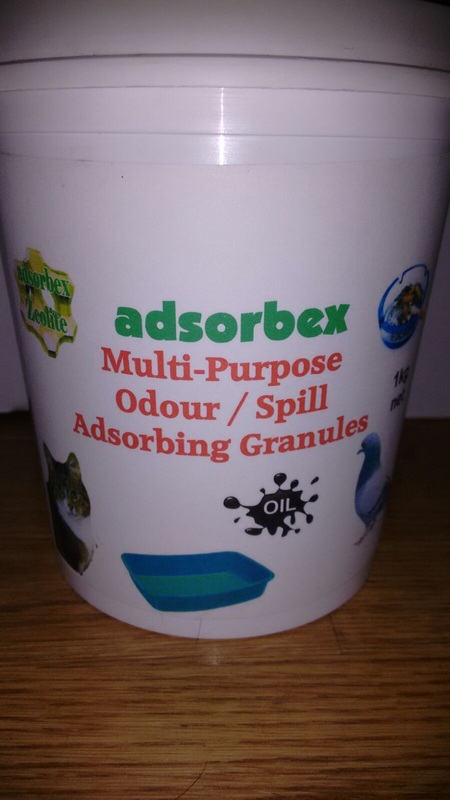 You may need more than one application, as the first application will probably saturate the adsorbex with pefumes or chemical disinfectant smells previously used. This will fill up the micropores in the Adsorbex and thus stop it adsorbing and holding on to the original problem smell ie "old cat urine". The next application can then get on with the work of drawing out the original problem unhindered by other scented products.